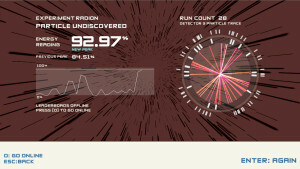 Boson X is a fast paced 3rd person running game where you play as one of the two professors (Erik or Niva) available with a goal to gather enough Peak Energy to discover a new element and proceed to the next experiment (level). The track on which you’re running changes every time you play, which gives the game some replayability. 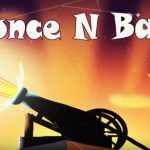 Sadly the track is generated from different portions which means that there aren’t unlimited possibilities and you will sooner or later encounter the exactly the same portion of the track you’ve played couple of seconds ago which makes it a bit repetitive and boring. 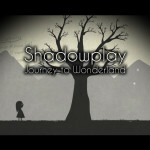 Each new level comes with a slight gameplay change which you must discover yourself. Luckily most of the level titles give you a clue what you’ll be facing which makes it a bit easier to guess what the new platforms do once you land on them. 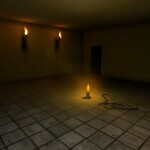 The game only has 6 levels that alter the gameplay, making it rather short. However the game “makes up” for its lack of levels by tremendously increasing the difficulty of certain levels which is somewhat frustrating. Upon failure or completion of the level you can submit your score to the leader boards which is a nice little feature for those who want to show off their skill (or luck) to the rest of the world. 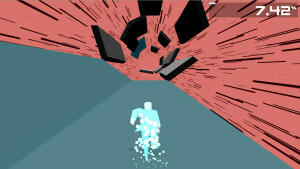 Gameplay is very simplistic and revolves around using only 3 keys for jumping straight, left or right which rotates the track while you’re doing so. The controls are rather responsive, but they tend to let you down when you’re trying to jump off the platform at the very last second. The only real complaint that I would have is the pause button or rather the lack of it. Graphics are also very simplistic and they do their job well, since there’s no reason for outstanding graphics due to the nature of the game. However it would be nice if there would be some shading on the characters to give them more depth. A nice touch is a sphere on the main menu which changes each time you successfully complete an experiment and uncover a new element. 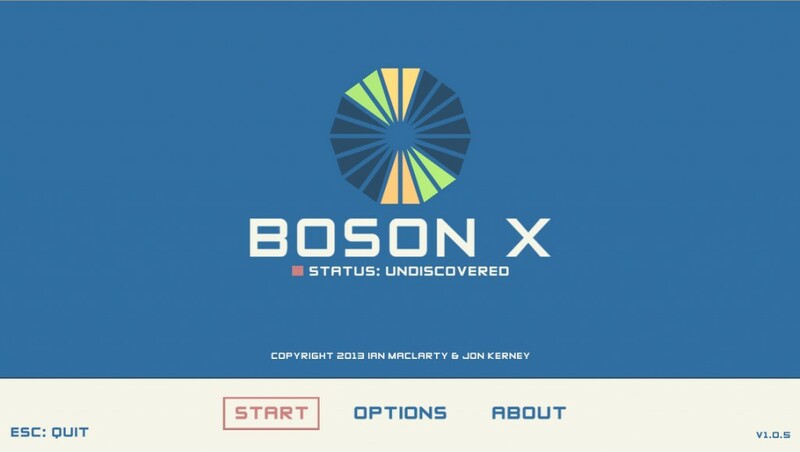 Boson X is a great game to kill some time while you’re waiting for one of your other games to finish downloading or while you’re waiting for your coffee to finish brewing. You can download Boson X here.